Centreline Suspension Thomastown was established in 1985 by Glenn Reid with the intention of developing a business that could bring to it’s customers the highest level of quality automotive suspension products and services for road, sports and race vehicles. Since that time Centreline Suspension in Thomastown has enjoyed continuous grown and developed to be one of the most respected and reliable service providers in Melbourne as well as its industry, with a proven track record both on and off the racetrack. Centreline Suspension’s Thomastown workshop is a clean, modern, state of the art facility located just off the Western Ring Road in Thomastown. They have the expertise and equipment to provide dramatically improved suspension performance for all types of cars from your day to day road car or 4WD through to the highest performance race vehicle, they are even able to design and fabricate completely custom suspension systems. Vehicles which have been prepared by Centreline Suspension Thomastown have had enormous success at national and state levels of motorsport from classic and historic vehicles all the way through to V8 Supercars. 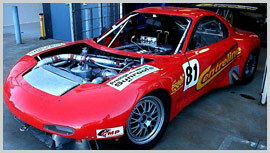 They have become a trusted and highly respected service provider to the motorsport industry in Australia. Centreline Suspension have their own race cars, including the silver bullet, Australia’s fastest RX7, which races in Australian sports sedan championship, however they also prepare and maintain numerous race cars for other teams in all forms of motorsport from Drifting through to V8 Supercars. They aim to make the your car as competitive as possible from the moment it leaves their workshop, with the added bonus of field support meaning you are ensured of receiving the optimum performance benefit from your investment. Centreline Suspension Thomastown have developed relationships with the top suppliers in the automotive suspension industry, including Bilstein, Koni, Pedders, Penrite and Whiteline. The management and staff at Centreline Suspension Thomastown are very proud of their reputation, their track record and their commitment to quality and great customer service – which makes them leaders of their industry. 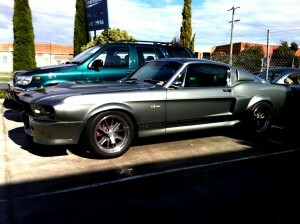 If you want the most out of your suspension their is only one place to go… Centreline Suspension Thomastown. Call us on (03) 9469 2914 or visit us at our Thomastown workshop.